Shellfish (oysters, clams, mussels) pose the greatest risk to be contaminated with norovirus; there is no way to detect a contaminated oyster, clam, or mussel from a safe one. 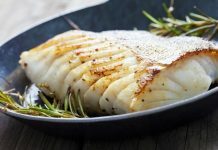 Because shellfish are filter feeders and concentrate virus particles present in their environment, shellfish become contaminated when their waters are polluted with raw sewage. A 2018 multi-state outbreak of Norovirus illnesses was associated with contaminated oysters harvested in Baynes Sound, British Columbia, Canada, and were distributed to AK, CA, FL, HI, IL, MA, NY, and WA. The contamination was determined to be human sewage in the marine environment. 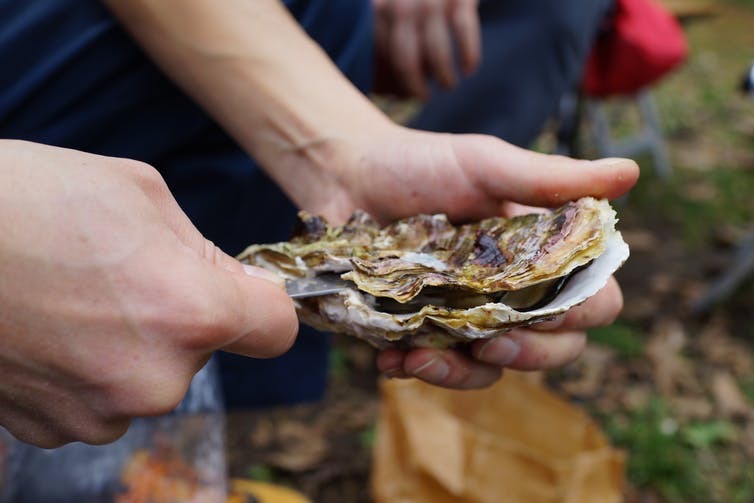 According to the the Public Health Agency of Canada, a total of 176 cases of gastrointestinal illness linked to oyster consumption were reported in three provinces: British Columbia (137), Alberta (14), and Ontario (25). No deaths were reported. Individuals became sick between mid-March and mid-April 2018. The California Department of Public Health (CDPH) reported approximately 100 individuals reported illness after they consumed raw British Columbian oysters sold by restaurants and retailers throughout the state. 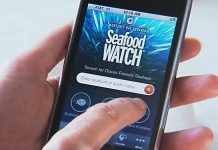 Although the outbreak appears to be over, this outbreak is a reminder that oysters are a known risk for causing food-related illness if consumed as a raw product. Norovirus infection can be prevented through attention to proper sanitation and cooking procedures. All bivalve shellfish such as clams, geoducks, mussels, scallops, and oysters can transmit norovirus. Illness outbreaks are most often linked to oysters because they are commonly eaten raw. The most common symptoms of norovirus are stomach pain, projectile vomiting, and severe diarrhea. Other symptoms may include fever, headache, and body aches. Some people can be infected with norovirus and have no symptoms. Good hygiene and hand washing, especially after using the bathroom and when handling food, are important to help limit the spread of norovirus. Symptoms usually appear 24-48 hours after being exposed to the virus. Sometimes symptoms appear as early as 12 hours after exposure. Most people recover in 1 to 3 days. Anyone can get norovirus. Young children, the elderly, and anyone who already has other illnesses may experience longer, more serious illness, and rarely, death. 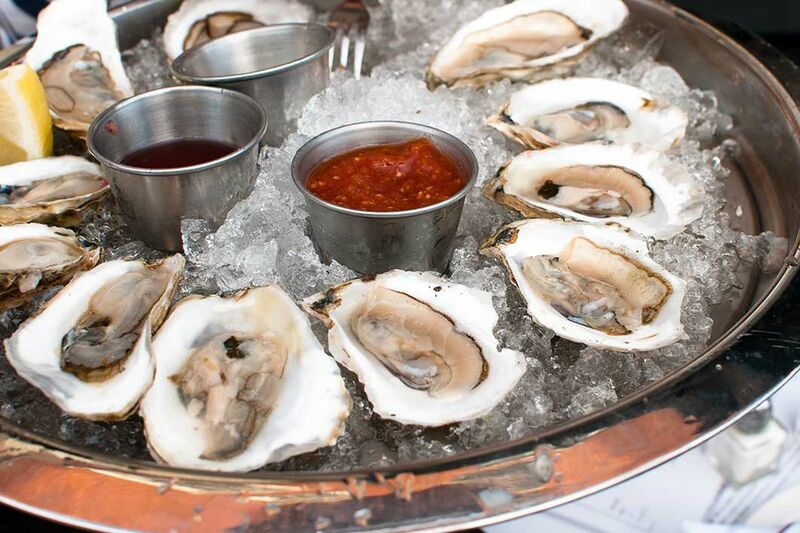 People who eat raw oysters or undercooked shellfish are at higher risk of a norovirus illness. 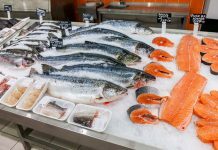 Norovirus persists longer in colder marine water and we tend to see more shellfish-related norovirus illnesses in November through March. Shucked shellfish (clams, mussels and oysters without shells) become plump and opaque when cooked thoroughly and the edges of the oysters start to curl. The FDA suggests boiling shucked oysters for 3 minutes, frying them in oil at 375°F for 10 minutes, or baking them at 450°F for 10 minutes. Boiled lobster turns bright red. Allow 5 to 6 minutes – start timing the lobster when the water comes back to a full boil. Shrimp turn pink and firm. Depending on the size, it takes from 3 to 5 minutes to boil or steam 1 pound of medium size shrimp in the shell. Norovirus can also be transmitted by ill individuals and are able to survive relatively high levels of chlorine and varying temperatures. Cleaning and disinfecting practices are the key to preventing further illnesses in your home. One of the infections you might get from eating raw oysters is caused by some types of Vibrio, bacteria that occur naturally in coastal waters where oysters live. 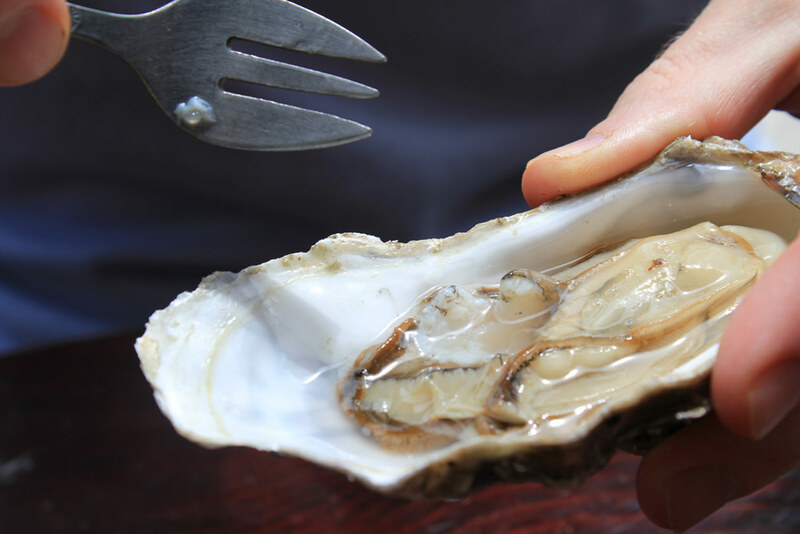 When someone eats raw or undercooked oysters that contain bacteria or exposes a wound to seawater that contains Vibrio, he or she can get an illness called vibriosis. How do people get vibriosis? Most people become infected by eating raw or undercooked shellfish, particularly oysters. Some people get infected through an open wound when swimming or wading in brackish or salt water.